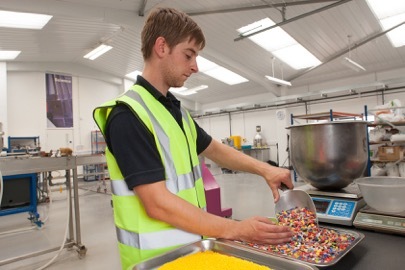 Luxus is one of the UK’s leading technical plastics compounding and recycling companies with a turnover of £25m. Since its establishment in 1965, Luxus has built on half a century’s knowledge and investment. Based in Louth Lincolnshire, its modern manufacturing facility now occupies a covered area of 28,328 square meters. It uses ‘state of the art’ technologies to deliver highly specified thermoplastic compounds based on recycled and prime feedstocks. Luxus was the first and is still the only independent UK based company to achieve approval of its recycled grades for the global automotive industry. It has continued to push the boundaries in plastics technology by creating light weight compounds able to dramatically reduce CO2 for environmentally critical applications. As part of a consortium with Jaguar Land Rover, Coperion and Tier 1 moulder IAC, Luxus will complete early in 2017 a €1.4m commercialisation project co-funded by the Eco-innovation initiative of the European Union. The aim is to develop its light weight polymer range known as Hycolene™ so it can be widely adopted by Europe’s automotive manufacturers. The Hycolene™ range can help reduce vehicle component weight, offers high scratch resistance and yet still features a substantial up to 60% recycled content – enabling manufacturers to meet increasingly tough emissions and ‘End-of-Life’ (ELV) directive targets. This project is supported by its Technical Centre created in 1982, that offers polymer development, testing and analysis services. Luxus technicians skilfully manufacture highly specified sustainable products from plastic scrap material to meet a broad range of applications for the automotive; wheel bin; logistics transit packaging; construction and electronics markets. On-going investment in R & D enables it to remain at the forefront of polymer technology, offering bespoke solutions for both general industry and niche highly specified applications. As the true ‘hub’ of the business its Technical Centre supports one of the most advanced facilities in the UK for processing rigid plastics and film. Luxus considers itself the originator of the ‘art, science and technology’ of sustainable plastics recycling and is the strategic partner of choice for major global blue chip clients.